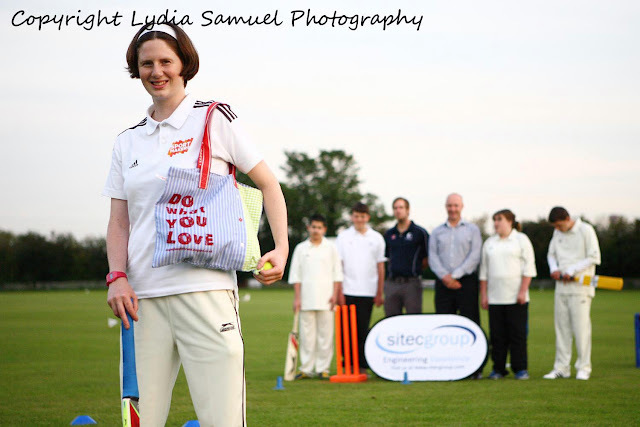 If, Iike me, you really got into the spirit of the Olympics and the Paralympics, I’m sure you’ll enjoy reading about the very enthusiastic and dedicated Sophie Cooper who is a sports coach...I was totally inspired by what this young lady has achieved so far and it was a real pleasure to meet her at Frenchay Cricket Club recently. I am a multi discipline sports coach and qualified youth worker. I create community sports projects for young people, disability groups and children. 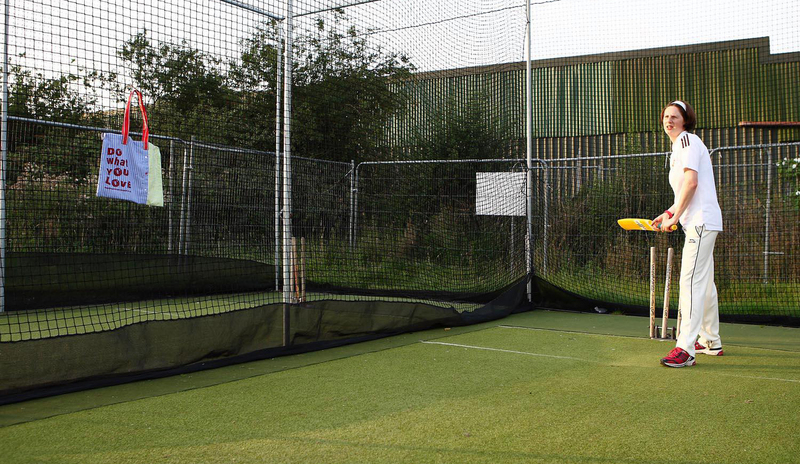 The main sports I teach are Cricket, Football and Basketball, for which I have taken national qualifications. My work involves creating mutually beneficial partnerships with sports agencies, local authority and members of the community. My current clients are Bristol City Council’s Sport & Health Development team, Everyone Active Leisure Centres where I do disability sports, and Gloucestershire Cricket Board. Whilst training to become a professional sports coach I spent one year volunteering with ‘The Catch Youth Club’ at Redcatch Park in Knowle (a deprived ward of Bristol) where I developed a sports programme. I have also put my hand to assistant teaching and tutoring roles in Primary and Secondary schools which have encouraged many children to work towards a healthy and active lifestyle. It combines an active job with meeting and working with many people representing the diverse community of Bristol. As the Olympics has shown, Sport has the power to bring people together for good and is brilliant for teaching life skills like sportsmanship and teamwork. Being freelance allows me to choose projects I find interesting and challenging. I enjoy running a business and I have a wonderful network of colleagues who are supportive and also passionate about their jobs. I developed a personal passion for basketball in 2010 when I found a women’s local league team in my area. My degree in Arts, music and entertainment management, which I studied in Liverpool, wasn’t - I feel - really relevant back home in Bristol and I was facing unemployment. Joining the women’s team boosted my confidence and helped me to make new friends. Shortly afterwards I joined a volunteering course at City of Bristol College which involved a 10 week Sports Leaders course and a NVQ2 in Youth Work. I have contributed over 250 hours to local community projects and placements in 2011 including the Youth Club and an FE College Basketball Team. 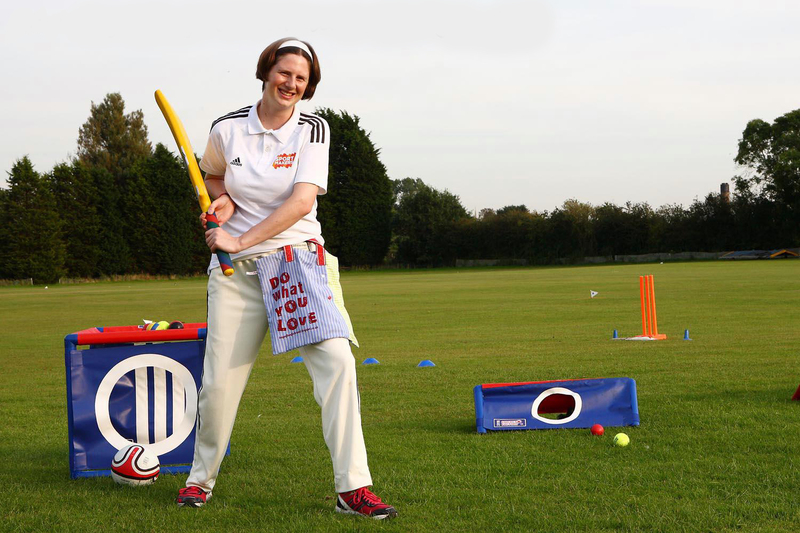 My efforts caught the attention of the local authority and I was asked to join the Street Games coaching team, which led to work with National Sporting Bodies including Street Chance and Street 20 Cricket initiatives. In 2012 I started to take my collection of small part-time coaching roles more seriously and developed a business plan with the help of Outset Bristol. It was a huge boost when I was accepted onto the New Enterprise Allowance Scheme with Job Centre Plus and Brave. In May I have been focusing on developing a sustainable income from sports coaching and I have found a niche in disability sport. 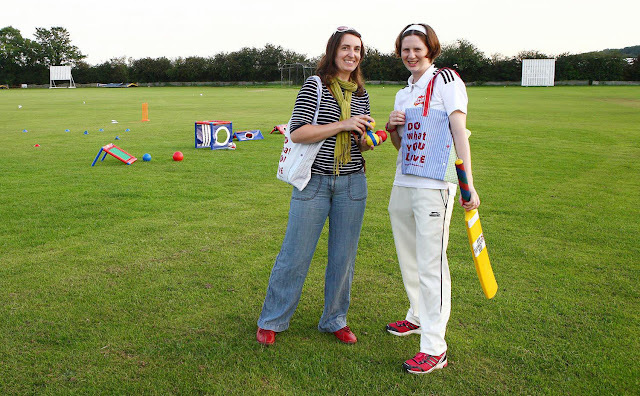 I now run a successful Visual Impairment Cricket Group and two Learning Disability Cricket groups. I have learned many business skills for example dealing with senior and commercial managers, managing finances and tax, maintaining a diary of work and replying to correspondence as well as applying for work and funding. Having had that management element of my degree has definitely helped me in my business. Sophie demonstrating to her students how to stand when waiting for that red ball! What was the biggest challenge you faced setting up as a Sport Coach? Having to work and communicate with such a broad range of people. On two levels – getting the work/projects so that can mean talking to the head of the council on one hand and then working with the students themselves. So far I’ve worked with students with learning difficulties, teenagers (being the only girl working with a bunch of 16 years old boys was interesting!) through to Asian women, actually - I think I’ve worked with nearly all parts of the community! So being able to work well with such a range of people and to be able to get them engaged is something I am still learning! But it is very rewarding. Also changing peoples perceptions of Cricket. For a lot of people It’s seen as being upper class, so I’m trying to show It’s for everybody. And there aren’t many women in my position. I have met quite a few who are involved in the sports – so as development officers, but as far as I know I’m the only woman currently coaching cricket and basketball. Which are seen as being male dominated sports. I’d like to see more women getting involved at this level. I can’t think of one thing in particular to be honest – but I know my Dad has been very influential as he has always run his own businesses. And Maggie Hopkins has also been a great influence – Maggie teaches the Level III Youth Worker Qualification at The City of Bristol College. So really I’d like to thank them for their support. What have you learnt about yourself as a result of setting up your business? That I’m determined and strong spirited. It’s hard work being self-employed so I’ve discovered I’m very driven. This is something I’m passionate about. Can you tell me about any success stories from Students? Yes, I was involved in a three month volunteer placement at the redeveloped Hartcliffe School as part of a programme run by Catch22. I was working with 12-15 year old girls and coaching them during their sports sessions. As a result the girls gained confidence – at that age lots of girls drop out of sport as they feel self-confident – but it really made a difference. Also after I completed the three months the school asked for two more volunteers for the following year. This was brilliant news! To carry on working with the great people at Frenchay Cricket Club, seeing my students develop, – and to get my Level II in Cricket coaching. That’s more technical and also involves the ‘whole’ approach to the sport – so diet, fitness - it’s a holistic approach. Then I’ll be qualified to hold one-to-one coaching sessions. I’ll be starting that in November and I’m really looking forward to that. I also want to get more involved with working with elite athletics. It’s a dream of mine to go the Rio Olympics in 2016 and support the team as a coach. That would be AMAZING! And of course to continue to encourage young women into sport and also into coaching. And – to get back into playing my guitar and singing. I’ve been so focused on setting myself and my business up that I’ve not had much time for anything else – but those are both things I love and want to find time to do again. And her cricket group has recently received 40k worth of funding!